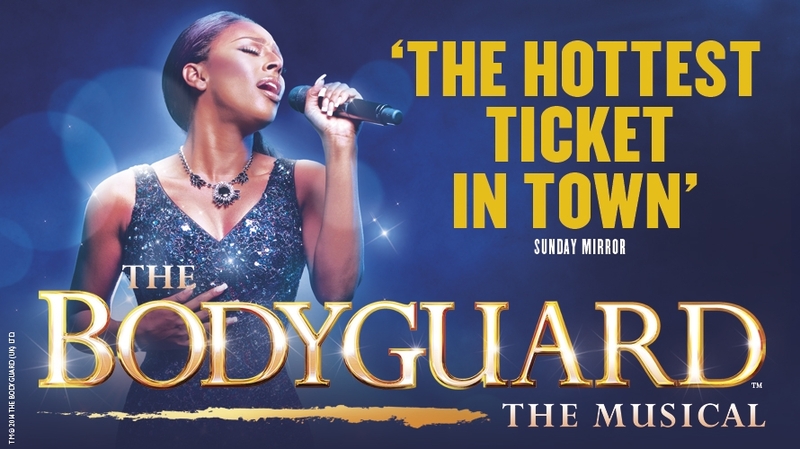 The Bodyguard, the award-winning musical based on the blockbuster film, is heading to Plymouth in 2015 starring ALEXANDRA BURKE as Rachel Marron. Direct from its smash-hit West End run, the show is coming to Theatre Royal Plymouth for two weeks only! A ‘BRILLIANT!’ (The Times), breathtakingly romantic thriller, THE BODYGUARD features a whole host of Whitney’s greatest hits including One Moment in Time, I Wanna Dance With Somebody and, of course, the legendary I Will Always Love You. Alexandra Burke is not scheduled to perform at any matinee performances. The role of Rachel Marron will be performed by Zoe Birkett at all matinee performances. The producers of The Bodyguard cannot guarantee the appearance of any particular artist, which is always subject to illness and holidays. *Please note: Alexandra Burke is not scheduled to perform at midweek or Saturday matinees including any revised matinee performances. It started with a gunshot and kept us on the edge of our seats from the outset. Exciting, thrilling, uplifting, moving – The Bodyguard is a truly exceptional show! Alexandra Burke is undeniably fantastic in this absolutely extraordinary show!